Hey, now that’s a question I hear a lot. For example, people wonder why they always catch more fish near one specific boat dock than others in a certain cove. Why is a certain section on a tree line, shoreline or riprap bank better than any other spot in that locale? Well, most of the time, anyway, a location provides better fishing because deeper water is nearby. Regardless of what it is, structure or cover, — more times than not, the most productive fishing locales will be associated with deeper water. Even when bass are extremely shallow, they’ll normally select areas close to deeper water. And there doesn’t have to be a major difference in depth either. Three feet isn’t deep, but it’s deeper than 1 foot. About the only time bass deviate from this is during the spawning period. Even when bass are deep, they’ll select and use those places close to even deeper water when available. Why? It’s a built-in instinct — an escape route into deeper water. OK, once you’ve located the best pattern, you now need to establish a depth. For instance, let’s say you’ve located that ideal boat dock. How deep are the bass that are using it? Are they shallow, deep, suspended, in close or out a short distance from it? Or let’s say you’ve located that perfect point. Again, how deep should you fish? See what I mean? Just because you’ve found the ideal object or structure near deeper water, you’ve still got to fish it at the proper depth to be successful. Finding the right depth is perhaps the single most important factor in bass fishing. If you’re not fishing the correct path you’re really wasting your time. 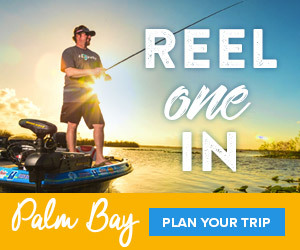 Sure, you may catch a fish here and one there, but you can bet the majority of fish in the area you’re fishing will select and use a preferred depth. Naturally, the better you know a lake, the easier it’s going to be in determining the correct path on a given day. There really isn’t an easy way to find the right depth, but there are a few tips that might shorten time. One is simply trial-and-error fishing. Begin trying different depth levels until you catch at least a couple of fish. Then concentrate your time fishing that depth in that area. If you change areas to different part of the lake, you may have to repeat the same procedure. Another way to establish depth is to ask the boat dock operator or a local fishing guide, an angler you see on the lake or one who has just returned to the dock. The most important question you can ask is what depth he caught his fish and what area of the lake he’s fishing. Usually, most will be willing to share this information with you. Another key way to establish depth is perhaps the best of all, and that’s relying electronics. Such units will not only show you depth, but will also show you fish and even the cover they’re positioned in. Another valuable aid, especially for a structure area, is a 5-foot interval topographic map. Naturally if you can obtain a smaller interval map, it’ll show you much more. I can’t emphasize to you enough — the best fishermen around can fish the best bait in the world, and if he’s fishing the wrong depth, almost anyone can catch fish, provided he’s fishing the right location with the proper lure for that location and using a correct presentation. The depth chosen by fish at any given time is dictated by many things like: the food supply, oxygen content, water temp, time of day and even time of year. Once you discover the ideal depth, you must then learn the very best location in the area of the lake you’re fishing at that depth. It could be a point, a ledge, a high spot or a sloping bank. Or it could be emerged like a boat dock, bushes, vegetation or standing timber. It’s important to remember that whatever depth and location you fish, don’t forget there needs to be deeper water close by. Note, I didn’t say deep water I said deeper water. All we’re really talking about here is what the majority of fish are doing at the same time in a preferred depth and location. Once a depth and location is found, naturally you’ll have to select a lure that can be fished effectively at such a depth. Regardless of what lure you choose, a worm, crankbait, grub, spinnerbait or whatever, it must be fished in a way that’s most appealing, especially when bass are inactive. When I think back to where I’ve caught most of my biggest bass, both largemouth and smallmouth, and where I’ve caught great numbers of fish, it’s always where a depth change occurred. Sometimes shallow, and sometimes deep. So if you’re having some trouble catching your fair share of bass, you just might want to try fishing next to deeper water.